Curated by Hesse McGraw, the 2012 exhibition Placemakers at the Bemis Center for Contemporary Art brought together nine artists engaged in interventionist and transformative acts that make places. Working in multiple media - video, photography, installation, sculpture and digital forms - each artist occupied and re-imagined a specific site. Artists included: Isabelle Hayeur, Tim Hyde, Anne Lindberg, Cybele Lyle, Inigo Manglano-Ovalle, Jason Manley, Zach Rockhill, Quynh Vantu and Letha Wilson. 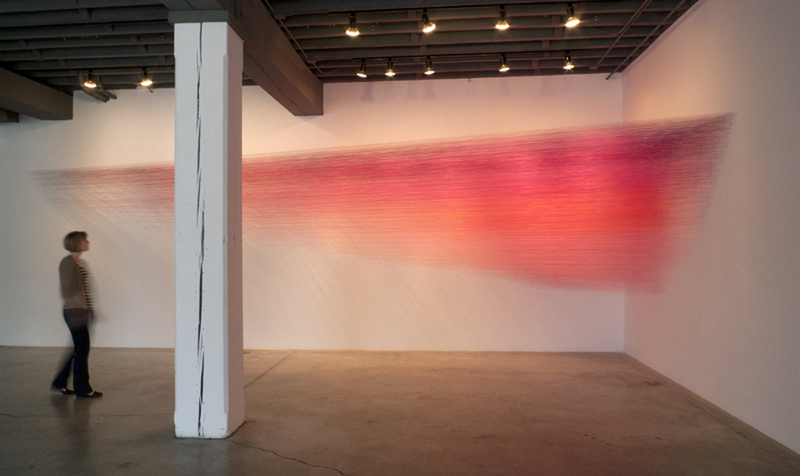 My work drawn pink was a 35-foot long wedged flash of intense fuschia/orange/red that filled a corner of the gallery with color, rushing into the distance as one entered the space. This suspended luminous gesture cast a hot pink light into the raw industrial space and offered immersive engagements. Optically this work is immaterial: materiality is fundamental. 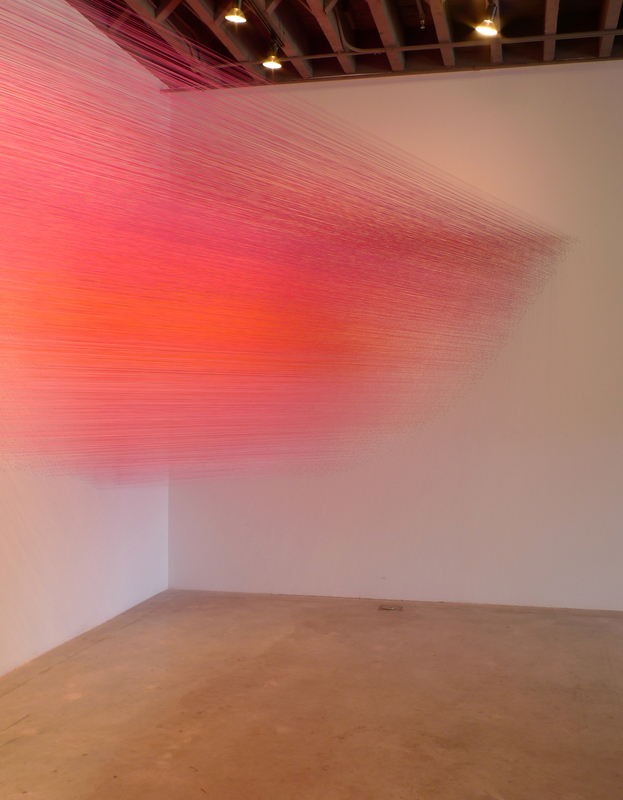 The intense tension in which the thread was held during the 3 month long exhibition was only momentary. With the quick snip of scissors, the color fell into a dense mass on the floor, evidencing its original taut position. Color was instantly compressed and tension released into what I called fallen drawing. The exhibition Placemakers brings together nine artists engaged in interventionist and transformative acts that make places. Working in multiple media — video, photography, installation, sculpture and digital forms — each artist occupies and re-imagines a specific site. The exhibition includes seven commissions of new work and spans 12,000 square feet of the Bemis Center’s first floor and extends beyond the gallery’s interior. Isabelle Hayeur’s site-specific video installations emphasize the porosity of our physical perception with virtual space. Responding to a quotidian space on 14th Street, two blocks from the Bemis Center, Hayeur’s video and sound installation is an invitation to experience a mise en abyme, an exploration of infinity. Tim Hyde’s video and photographic works amplify singular experiences of place fused to specific psychological, historical, and technological contexts. Hyde’s The Keeper (2006) records a silent and delicate negotiation between the artist and an anonymous elderly woman in the courtyard of a former KGB building in Kiev, Ukraine. 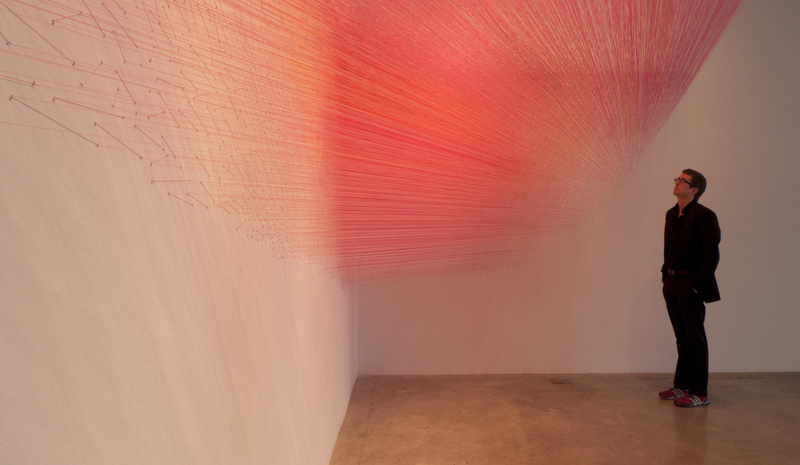 Anne Lindberg's current works utilize fine Egyptian cotton threads to create luminous spatial passages and forms. Optically they are immaterial; materially they are fundamental. Lindberg is presenting a forty-foot installation and a two-dimensional work — both color-saturated works expand her involvement in new modalities for drawing. In 2011, Lindberg received a prestigious Joan Mitchell Foundation Painters and Sculptors Grant. Cybele Lyle works in both video installation and photography, and layers imagery of domestic architecture with the natural environment. Within a restrained palette, Lyle creates a subtle, yet encompassing spatial disorientation that heightens the slowness, impermanence and sexuality of space. Chicago-based artist Iñigo Manglano-Ovalle’s Always After (The Glass House) is the fifth, final installment in a set of works that Manglano-Ovalle filmed in buildings by Mies van der Rohe. In this HD video, Manglano-Ovalle documents an event that “refers to the end of the utopia of transparency.” The work observes a ceremonial window smashing — by Mies’ own grandson — and aftermath at Mies’ Crown Hall at the IIT campus in Chicago. 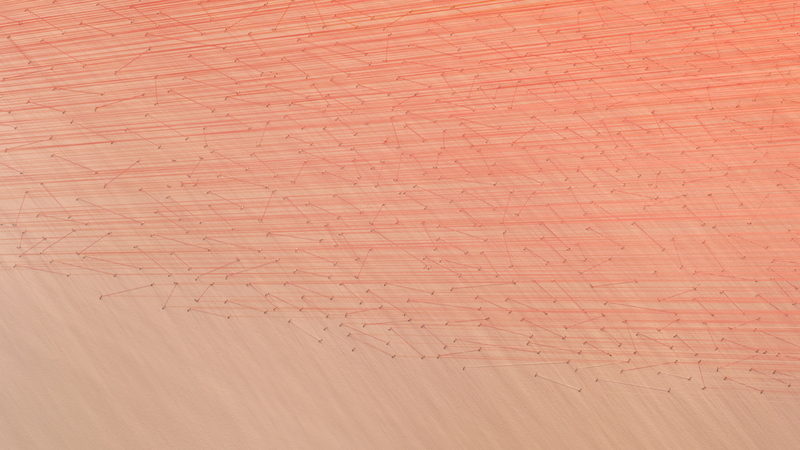 Jason Manley’s drawings and installations compact the language and forms of advertising into off-kilter beacons. Manley’s monumental icons are open-ended and speculative propositions that trump the gamesmanship and diversions of conventional public messaging. For Placemakers, Manley imagines the Bemis Center as a locus of collective possibility and personal hope. Zach Rockhill’s work engages physical impossibilities of architecture and material. Through low-tech illusions, Rockhill’s works accelerate gravity, make architecture liquid and find permeability within seemingly solid forms. Rockhill has created a 40-foot nylon curtain whose translucent moirés improbably pass through a three-by-three-foot concrete cube. Quynh Vantu’s installations torque the experience of transitional spaces — hallways, atriums, thresholds — into condensed social exchanges, compressed physical negotiations or buoyant places for interaction. Vantu’s works occupy two Bemis Center corridors to distinct effect, and reward spirited participation. Letha Wilson builds photographic and architectural tableaux that conjoin bucolic visions of nature with misbehaving construction materials. Her site-specific works for Placemakers conflate pastoral images with alien and unexpected architectural moments. Beyond the specific jolt of this work, Wilson sends up the often ill-fitting interface of the built and natural worlds.